This biological product removes all traces of algae origin due to enzyme activity. The product is to mix with water in a 1/3 concentration before application. 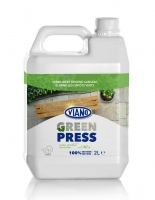 Viano Greenpress is to apply with spreader or watering can an needs no scrubbing. After applying let the product do the work itself for a cupple of hours, than rinse well afterwords. Depending on the type and state of the pollution the very best result can be expected after some weeks. 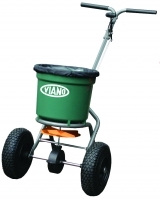 Viano Greenpress is used in the cleaning of tiles, terraces, wood, teak, glass, metal, roofs, gardenfurniture. 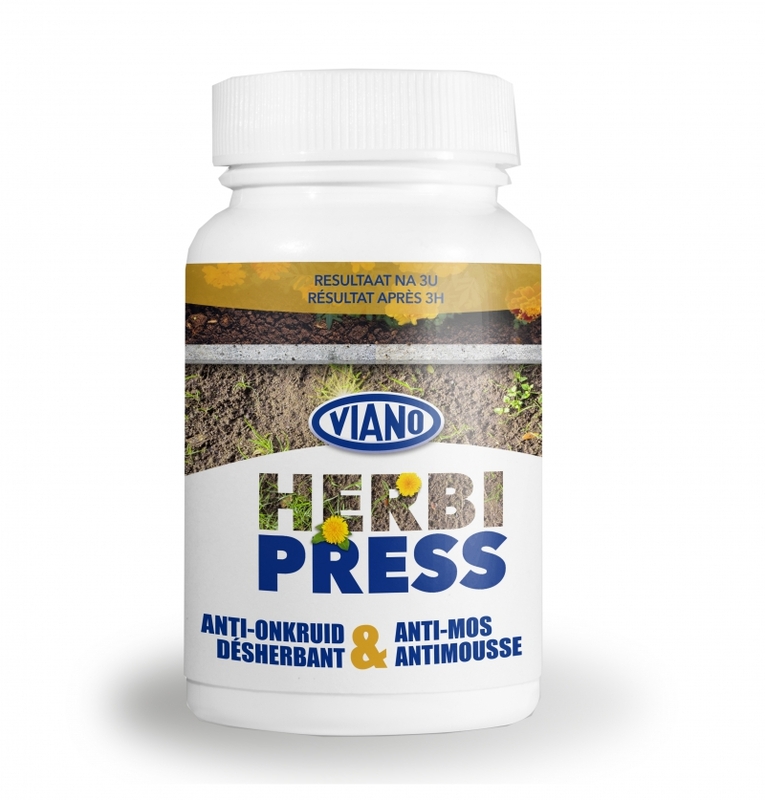 Herbi Press can NOT be used/applied fort he destruction of mosses and weeds in lawns. Herbi Press is effecting the treated parts of the plant. This biological product removes all traces of atmospheric origin due to enzyme activity. Viano Biomix ATM Blackstain remover is to mix with water in a 1/5 concentration before application. Biomix ATM Blackstain remover is to apply with spreader or watering can an needs no scrubbing. After applying let the product do the work itself for a cupple of hours, than rinse well afterwords. Safe to human, animal and surfaces. It is used in the cleaning of tiles, terraces, wood, teak, glass, metal, roofs, gardenfurniture. When surface is heavy contaminated, repeat application. Supp Press Snails is a 100% natural product on vegetable bases that prevents damage caused by snails by forming a physical barrier. Snails will not cross this barrier. The easy to spread granules guarantee a soil covering layer. The product does not kill the snails and therefor the source of food for wild birds stays available in your garden. So by using Supp Press Snails you’ve got an animal friendly solution. Supp Press Weed is a natural soilcoverer in granulated form . It is easy to apply in the garden (border, vegetable garden) in between the crop plants. 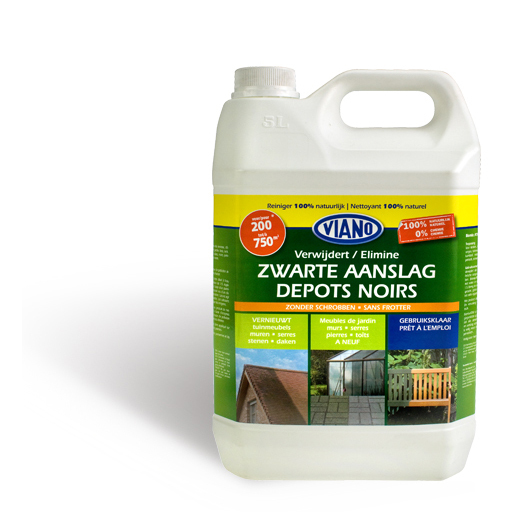 De easy to spread granules guarantee a physical barrier that prevents development of new weeds. Supp Press Weed is applied after cleaining the soil from existing weeds. The granules are from vegetable origin. Centrifugal spreader value ingredients with adjustable spreadersettings (kg per 100m2). Guarantees an equal distibution. Can be used for the spreading of fertilisers (crumbs, pellets) and the spreading of granulated lime. With assambling guide. Solid model with plastic container and pneumatic wheels of 30 cm diametre. Including rain cover and hopper screen to break up clumbs. Designed to be pushed (avarage walkingspeed 4km/h). This spreader can be used for spreading regular crumbs or mini crumbs. Can not spread powdered products. Easy to handle hand spreader for fertilisers and lime. Holds 1,5Kg organic fertiliser or 2,5Kg lime.